Providing Installation, Modernization, Maintenance, Service and Repair. The people at IronHawk Elevator have been providing high-quality service since 1983. ​Every day, we strive to provide you with friendly service and the best customer experience in South Eastern Arizona and South Western New Mexico. Service, Maintenance, Modernization, Repairs, Emergency Services, Inspection & Certification - the IronHawk Elevator team covers all of your commercial elevator needs. IronHawk Elevator is available and on call 24 hours a day, 7 days a week for emergency elevator services. We're here whenever you need us, so call us at any time, day or night. Homeowners trust IronHawk Elevator to keep their residential elevators running smoothly and efficiently. We're also premier installers of home elevators, contact us to learn more. As a commercial property owner or manager, you can turn to IronHawk Elevator for all your elevator service needs. We're a local, wholly woman owned commercial elevator services provider offering our commercial customers the highest quality customer service, and we value every client relationship that we've built. And with our outstanding customer service comes professional, expert quality workmanship that exceeds the work done by the national and international elevator service companies. Whether you are interested in having a new elevator installed in your home, or need experienced professionals for repairs, maintenance or modernization, IronHawk Elevator can manage all your residential elevator needs. We can design and install the perfect home elevator, allowing you greater ease of movement throughout your home. 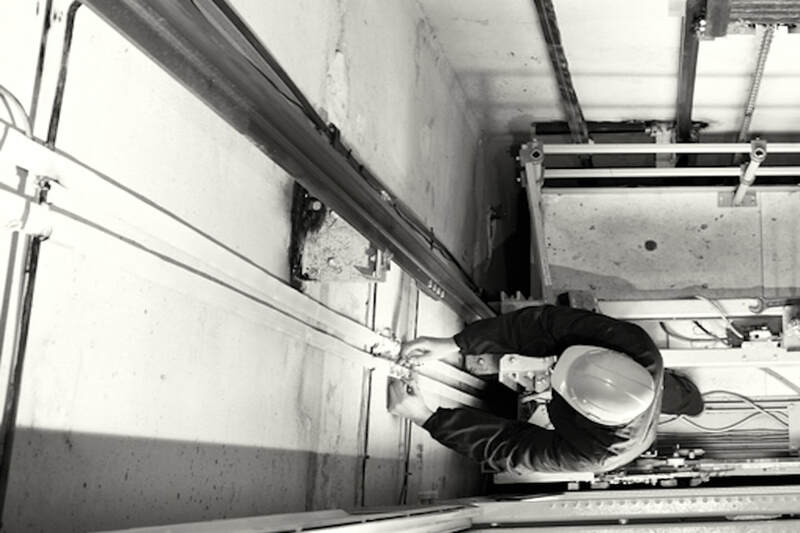 Our technicians, journeyman and certified, can service, maintain and perform any repair your elevator may need. If your home has an existing older or vintage elevator, we can upgrade and modernize it, or remove it and install a new, custom home elevator. 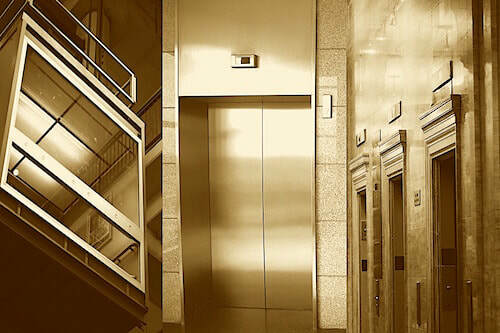 Regular and scheduled commercial elevator service and maintenance is crucial for any business or commercial property with an elevator on the premises. As a business owner or property manager you’re likely aware that commercial elevator service and maintenance is required by law at set intervals. IronHawk Elevator makes it simple and easy for you to be in compliance with relevant regulations and codes. We offer Commercial Elevator Service Agreements that pre-schedule the required service and maintenance you’re required to have. Our service agreements are opened ended and cancellable at any time. In addition to keeping you in compliance with the law, regular service and maintenance will keep your commercial elevators running smoothly, reduce break-downs and down time, ensure the safety of everyone using your elevators, and ultimately save you money. The costs of emergency repairs, down time and potential liabilities far exceed the cost of proactively maintaining your elevator. IronHawk Elevator provides top quality, affordable elevator maintenance to our commercial customers. 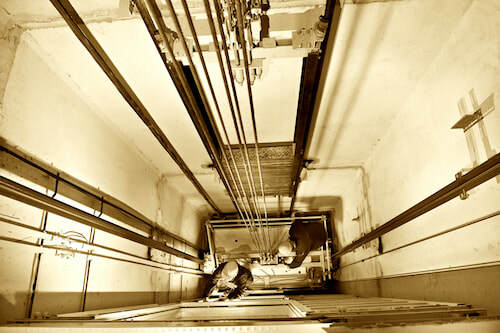 IronHawk Elevator can maintain and service most models of commercials elevators from a variety of manufacturers, including older and vintage elevators. 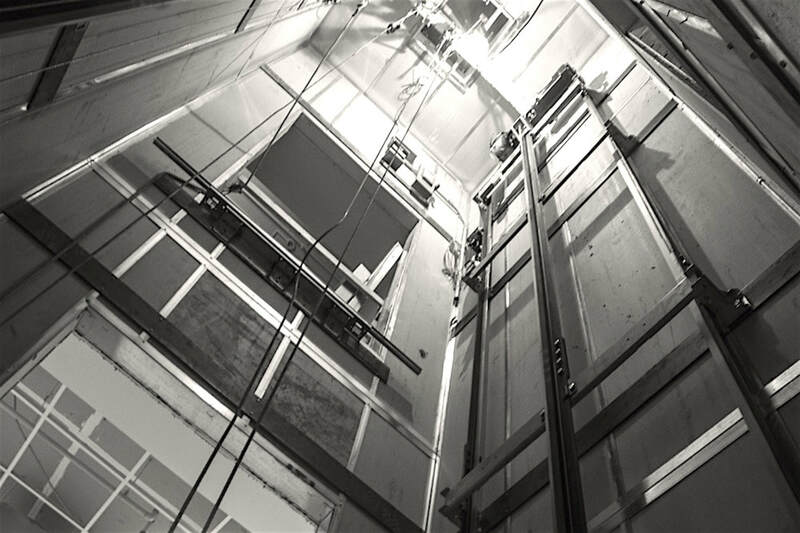 In addition to standard, public use elevators, our technicians can work on freight elevators, material lifts and other specialty lifts designed to move large or heavy loads. Our commercial elevator service agreements also include 24-hour monitoring of the elevator’s phone or alert system. That means that we’ll be available 24 hours a day, all year long, in the unfortunate event of a break down or other emergency within the car. You can trust that your tenants, guests, customers and employees will have immediate access to us should they become trapped in the elevator car. Homeowners rely on IronHawk Elevator to provide the highest quality residential elevator service and maintenance. 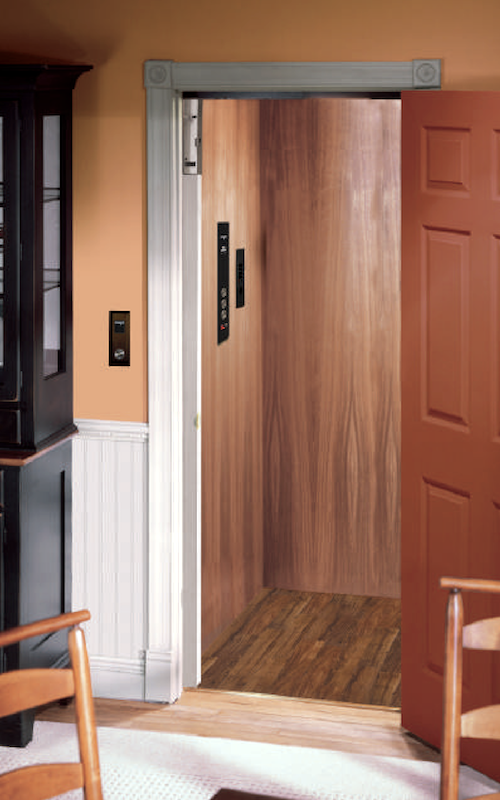 If you’ve installed a residential elevator in your home, you’ll want to keep it running smoothly at all times. If you own or have recently purchased a home with an existing elevator, IronHawk is here to keep that elevator in top shape for years to come. Costs and safety are important to every homeowner. Regular home elevator service and maintenance ensures the safe, efficient and long lasting operation of your home elevator. 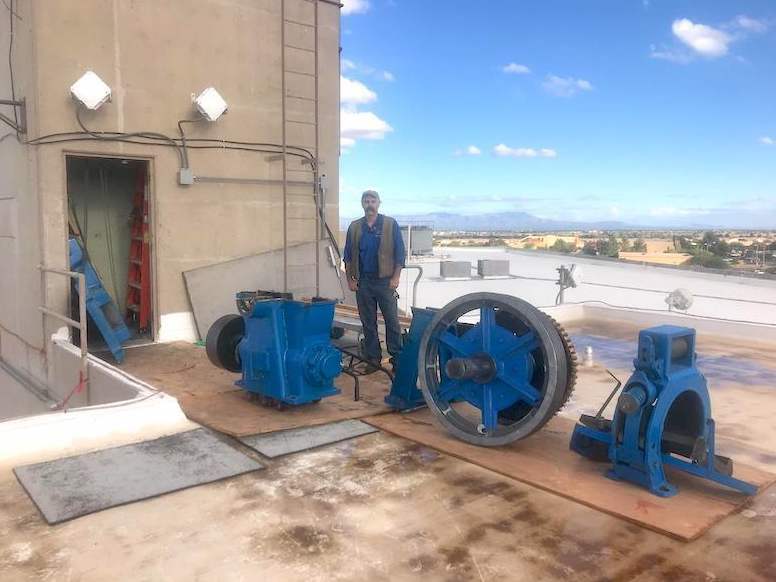 ​IronHawk Elevator provides expert, professional commercial elevator modernization to businesses and commercial properties throughout Southeastern Arizona and Southwestern New Mexico. Our modernization services can update and upgrade your existing commercial elevator or elevators, making them safer, smoother operating and more energy efficient. Modernization not only makes your elevator system look better and function better, it can reduce your commercial liability while saving you money. Costs are a concern for all business owners and property managers. An up-to-date, well-functioning elevator system is one way to help control costs for your business. 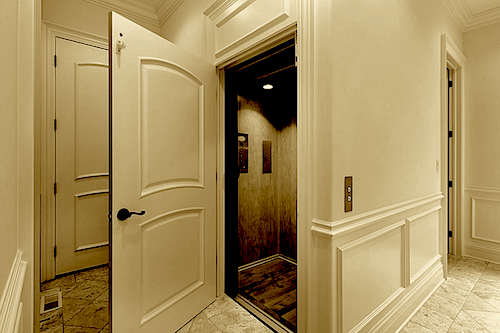 Typically we find that with older residential elevators, replacement is the best option. A new lift system and cabin allow for smoother, more efficient operation. For residential customers who want to keep their current home elevator, IronHawk Elevator is here to offer solutions for modernizing, upgrading and updating existing home elevator systems. Call 866-672-1963 for an elevator modernization consultation from IronHawk Elevator. Contact IronHawk Elevator for a complimentary evaluation and custom quote on the installation of a residential or commercial elevator. Our expert technicians, journeymen and certified, can install a custom designed, energy efficient, new elevator in your home or business that will operate smoothly and safely. Elevators offer an array of benefits, the main being increased mobility and ease of access within your home or office. 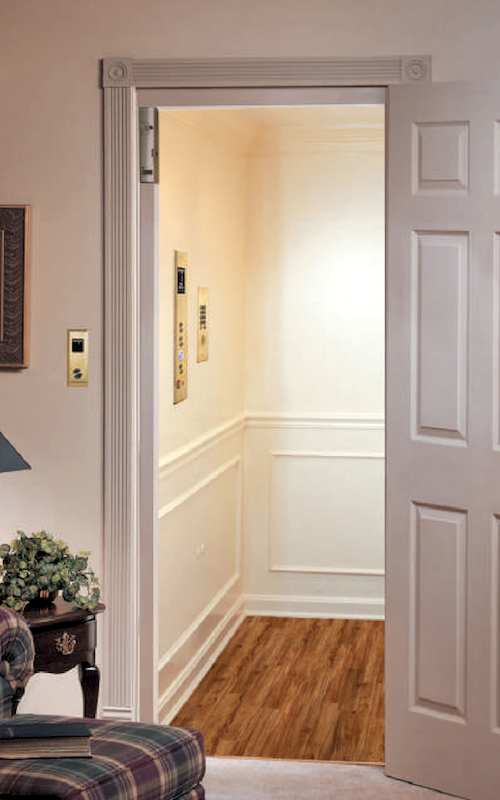 Beyond allowing you to easily move between floors, commercial and residential elevators add a dimension of safety, reducing or eliminating the potential risks of using stairs. 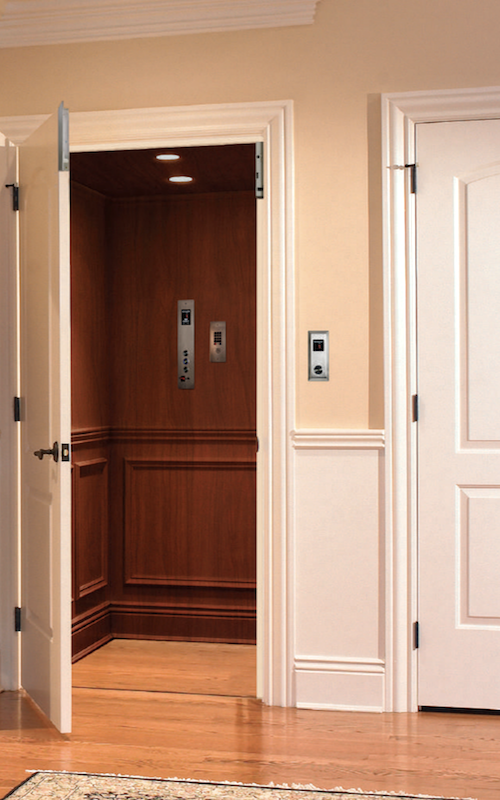 Additionally, a new elevator system can add value to your home or commercial property. 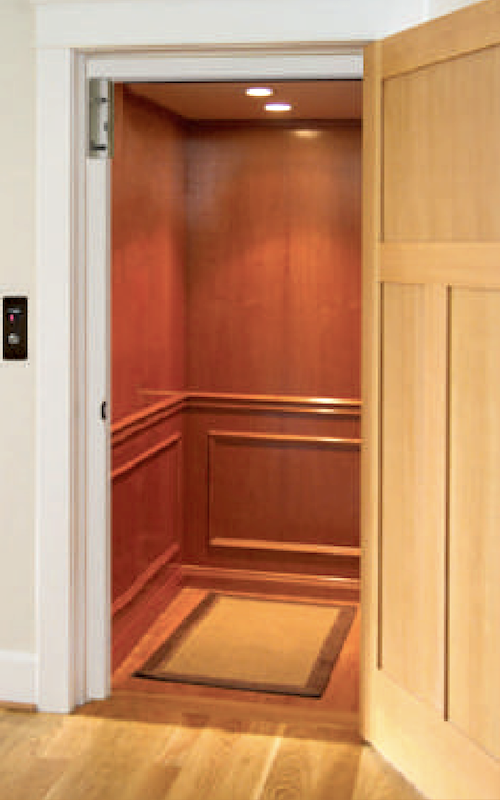 Whether it's for your own mobility in your home, or the ease of access for guests, customers and staff members in your building, IronHawk Elevator will design, create and install the perfect elevator system for your structure. As with our commercial elevator repair services and parts availability, IronHawk Elevator can perform the repairs your home elevator needs. Where here for you in emergency situations, but we're also the residential elevator team to call when your need minor repairs and parts. Age, regular wear and tear, normal use and time all have an effect on a complex piece of machinery like an elevator. Contact IronHawk for a free evaluation and estimate for repairs. We work on nearly all makes and models of residential elevators and have a massive inventory of parts in our warehouse. 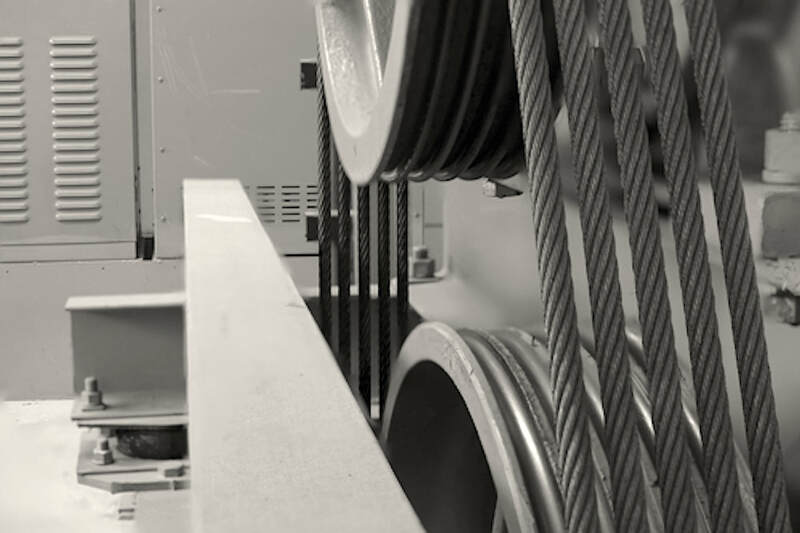 This allows us to get your elevator back up and running quickly and affordably. COMMERCIAL & RESIDENTIAL - WE DO IT ALL! With thousands of parts in stock in our Tucson warehouse, we literally do it all - commercial and residential. Turn to IronHawk Elevator for projects involving new construction, remodels, upgrades or replacements. We have parts for passenger and freight elevators. Our technicians can handle wheelchair lifts, cab interior upgrades and replacements, re-skinning damaged doors, refinishing cab panels, replacing door operators, upgrading photo screens, repairing leaks, re-cabling, mechanical, electrical, hydraulic... you need it done, we can and will do it! IronHawk is on-call and available 24 hours a day, 7 days a week for commercial elevator emergencies. Call us any time, toll free, at 866-672-1963 in the event of an elevator break down. We can dispatch a technician at a moment’s notice, and our Tucson warehouse stores thousands of parts for every major manufacturer. That means IronHawk Elevator can do the work immediately to restore your elevators to working order. And remember, IronHawk Elevator offers 24-Hour Elevator Phone Monitoring to our Commercial Service & Maintenance customers. We’ll be available 24/7 should an emergency arise within the elevator car. Call IronHawk Elevator at any time in case of emergency with your residential elevator. We're on call and available to our residential elevator customers 24/7. You can reach us toll free at 866-672-1963 in the event of a break down or entrapment. IronHawk Elevator can service, maintain and repair most any residential elevator model and our warehouse has thousands of parts ready to go so we can get your elevator back on track immediately. Having a commercial elevator in your building is a tremendous benefit to your customers, guests, tenants and staff. With the convenience of a commercial elevator comes legal requirements for you as a business owner, property manager or commercial landlord. Businesses throughout Arizona and New Mexico trust IronHawk Elevator to be their provider of Commercial Elevator Inspection & Certification Services. In addition to being experts at elevator maintenance, modernization and repairs, IronHawk will keep your commercial elevator up to code and certified all year long. Not only can you rest assured that your elevators are running smoothly, safely and efficiently, you'll know that you're in compliance with state and local laws. IronHawk Elevator will inspect your elevator system, complete all necessary logs in the machine room and cabin, and ensure the proper certification is correctly available and displayed. For customers who take advantage of IronHawk's open-ended Commercial Elevator Service Agreements, our Inspection & Certification Services are included in your agreement. That means you never have to worry if your elevators are current in their certification and up to code. Chairlifts and Stairlifts provide mobility and accessibility between the floors and levels of a structure and may present a good solution when an elevator isn't the best option. Chairlifts, also called wheelchair lifts, are designed to lift a wheelchair, scooter or other mobility device and the rider between floors. Most chairlifts typically use an open platform on a lift system. The platform walls or rails enclose around the rider and their chair or scooter for safe transport up or down. The lift will generally only operate when the doors or gate are shut, signaling the rider is safely within the enclosure. ​Stairlifts are a common residential solution (though some commercial properties can benefit from a stairlift) for mobility up and down stairs. The stairlift's tracks mount on the actual stairs and allow the rider to sit comfortably while moving between levels. For those concerned with the construction requirements, permanency or space taken up by an elevator or chairlift, a stairlift can offer a simple alternative that can be easily removed later. Call 866-672-1963 for a complimentary consultation and evaluation of your mobility needs. Our team will review the best options for your home or business and create a custom plan that serves you best. One common concern we hear from property managers is, they don't really know what they're paying for or what they're getting from their current elevator services provide. And often they feel stuck or trapped because of a contract. Not knowing when or why a technician will show up and not knowing what they'll be billed for are some of the concerns we hear most from those in charge of supervising a building's elevators. At IronHawk Elevator we create custom relationships with the property owners and property managers we work with. We provide complete and total transparency in the service agreements we create and we let you know exactly what you're paying for and when to expect us for service calls. Our journeymen technicians will provide your elevators with the proper, monthly mandated service leaving behind correctly completed log books in your machine room. We know the customers, guests, visitors and staff in your building trust you to provide safe and functional elevators. You can trust IronHawk Elevator to be your partner in maintaining the safety and functionality of your elevators. In contrast to rigid rules and one-size-fits-all service plans, we're free to create a service agreement that best meets your needs, with no restrictions from a corporate office in another state or another country. We even allow early termination with a 30 day notice. At IronHawk Elevator, one of our primary goals is to meet your needs and serve you as best as we can, if you choose to work with another team, we won't force you to stay in a contract with us. 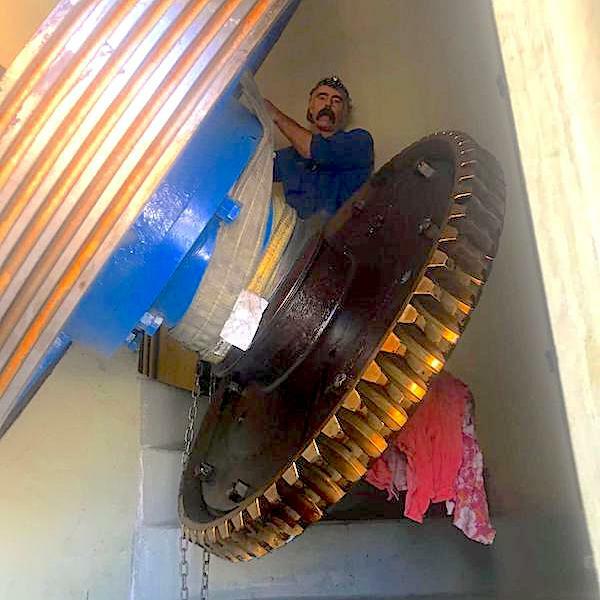 Old time service, matched with the latest technology and training makes IronHawk Elevator the leader in elevator services for Southeastern Arizona & Southwestern New Mexico. We can't stress enough that high prices do NOT equal high levels of service, quality and competence. As a local, family owned and operated business, IronHawk Elevator is committed to providing the highest quality of work and customer service at a fair and reasonable price. Being a local, small business allows us to offer competitive, and customized pricing, while providing even better customer service and quality workmanship than the big national and international companies. The value in working with IronHawk cannot be overstated when considering our pricing, customer service and superior quality work. While competence isn't dependent on size, we can proudly say our competence far exceeds our size. IronHawk Elevator is a wholly woman-owned, service, repair, maintenance and construction company capable of performing all aspects of elevator service, repair, maintenance, remodel, modernization and build work. At IronHawk Elevator, our goal is to provide superior service coupled with stringent attention to safety protocols and a partnership approach to customer relations. ​​We at IronHawk Elevator truly recognize the importance of open, direct customer relations. Coupled with excellent technical knowledge, proven skill in the field, and overhead which allows us to save you money, we can beat the competition hands-down. We hire only the best people, who share our passion for quality service and a positive work environment. We are locally owned and operated and consider you, the customer, our neighbor and friend. We passionately believe that our customers are the backbone of our family business, and without your support, we cannot stand. It is essential for our mutual success that we take care of you, your machines, and our relationship with you, that we may move with you towards a safe, productive, and cost-effective workplace. Providing you with a functioning, safe workplace, and a reliable, open administrative relationship will enable us to accomplish these goals we set forth. With an absolute commitment to the highest quality customer service, we realize that we can indeed "Raise the Standard" of overall quality job performance in the elevator industry. We are always looking to improve ourselves. If you have ideas how we can provide you with a product or serve you better, we'd love to hear from you. Send us a quick note using the contact page or call us at 520-558-7473 or 866-672-1963. We understand the inter-relationship amongst all parts of your elevators, why and when they do what they do. The goal is to utilize this knowledge to prevent breakdowns, minimizing potential for injury, down time, and overall cost to you. We wish to remove any mystery the elevator industry may have heretofore maintained. We want you to know what your technician does at your facility, and what it is you are actually paying for. All technicians and personnel affected by our work efforts will return home safely each night.